I have purchased 74 tins of 16mm film to share with you freely on Lost Perth but to do so, I need your help again please? I have personally paid $5400 previously to have films processed to share with you but the quotes for this project and two more lots are too high for me. The films , in colour and black and white, range from 1948 to 1961 including Kings Park, Perth, Fremantle and as far as Albany and with your help we can watch them together soon. Thank you to all who have helped us get half way to our goal. If you like surprises then I have plenty of them to present to you with your help. 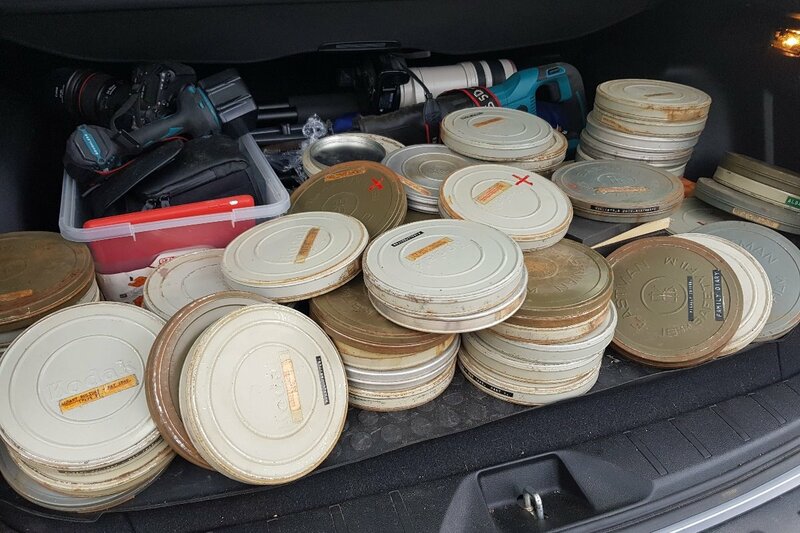 74 tins of 16mm film were found on a verge in Nedlands by a passer by. I purchased these films to share with Lost Perth followers but it is expensive to convert them to digital format. I have spoken to a relative of the gentleman who recorded these films and I have offered a digital copy and asked if I may do the same with the State Library of WA. The films , in colour and black and white, range from 1948 to 1961 including Kings Park, Perth, Fremantle Bunbury, Wagin and Albany. Museums and libraries do not have the funds to convert their own collection so it is up to us if we wish to watch these films ourselves. On top of this rare footage , we have 3 more collections to be converted including that of WW2 hero Jack Sue. When we have enough film I will get a movie edited on to a DVD with highlights of the footage to be provided to each and every person who put up the cash to help us get this project happening as a thank you. The film I will take from town to town for charities to hold film nights where we will find more great photos and memories for Lost Perth and libraries. The fun is just beginning as you never know who you are going to spot of so much film, maybe even Mum & Dad? Please help me to show you our history on film. We made a huge step towards getting started on converting 74 rolls of film yesterday. 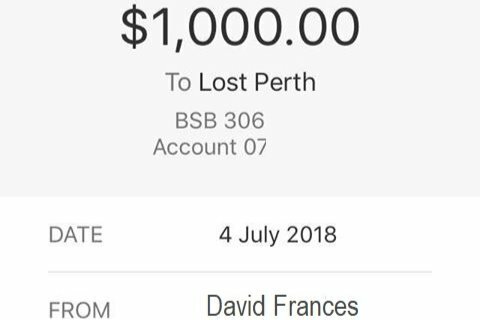 Everybody has contributed what they can but an amount of $1000 from David Frances deserves a big hug, thank you. People including Sue Callum and Ian Rose have offered me cash such is the love of old films particularly of our home state and Perth. This amount of film when edited will make an interesting 90 minute movie of our Western Australian history. Once complete I will take the film for free to every town I am welcome where a local charity such as the RSL, CWA, footy or netball club, P&C has organised a venue where they can raise funds to view the movie and people can bring more photos and souvenirs to share with all the 'Lost' pages. Saving our history before it is thrown away such as these 74 tins of film found on the verge by the gentleman I purchased them from.